You must’ve heard about I am Karachi, a movement to own Karachi & honor Karachi. 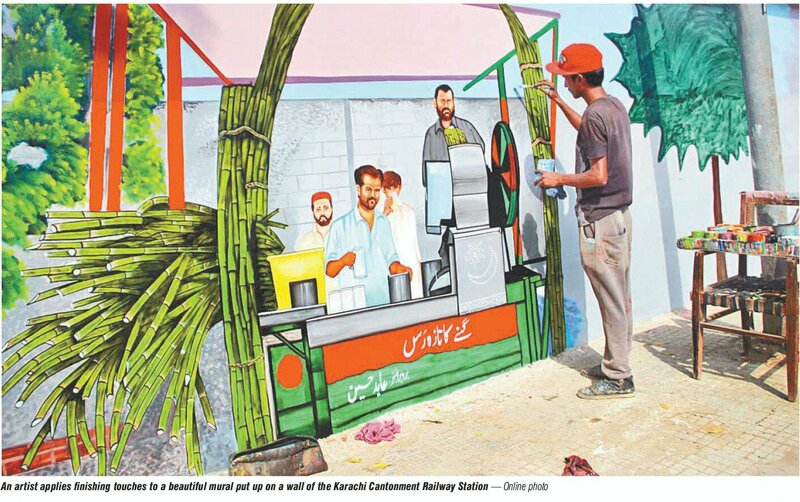 If not, then you must’ve seen some really artsy painted walls across Karachi. Theses will be now mapped by TPL. 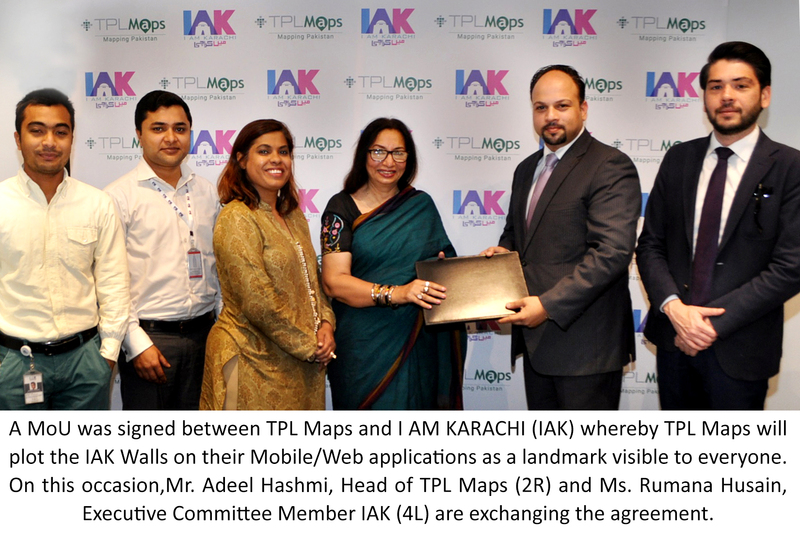 IAMKARACHI – IAK and TPL Maps, Pakistan’s first digital mapping solution, part of TPL TRAKKER Limited (TPLT) signed an MOU at the Centre point, signalling the commencement of a partnership aimed to enrich the culture and physical spaces of Karachi, Pakistan. This MOU was signed by both parties to put the IAK Walls on the map, literally. TPL Maps will plot the IAK Walls on their Mobile/Web applications as a landmark visible to everyone. The Walls will be marked with specific coordinates and accurate images, to signify the importance of the program and to increase the visibility within the city of Karachi and visitors alike. The IAK Walls movement has been a raging success for the past two years, and has inspired multiple campaigns that follow a similar model to counter hatred and violence in Karachi. This year, the programs that be inspired have travelled to other cities as well, including Lahore. However, this is the first instance of these walls being listed on the Pakistan’s first indigenous Digital Mapping solution, TPL Maps, as identifiable landmarks. Mr. Adeel Hashmi, the Head of Maps at TPL, Ms. Ambareen Main Thompson, Executive Director of the Society for I AM KARACHI and Ms. Rumana Husain, Executive Committee Member IAK and prolific children’s writer signed the documents, signalling the beginning of what shall prove to be a blossoming partnership. Ambareen Main Thompson, Executive Director, I AM Karachi.